Tag Archives for " Jack Dawson "
People go online to search for different types of information and this means that your company needs a strong online presence. Many users need to carry out searches before they make a purchase. Your business thus requires a website that will be ranked on the first page of search results. Websites represent companies and have the ability to determine whether or not users will be receptive to them. Having a website is important but in order for it to help your business become more profitable, it needs to be seen in search results whenever searches are carried out using particular keywords. This is based on the tendency of people to search according to what they are looking for, such as product or service. Websites that do not appear on the first page of search engine results when people carry out searches can be regarded as non-existent among online users. This is why you need to ensure that your site ranks highly for specific keywords so that search engines place your site higher than several others that are related to the same keywords. SEO includes a variety of factors and plays a critical role in web design. Web design and SEO work together and more web designers are choosing to integrate SEO when designing websites. It is important for business owners to be aware of how important SEO is in web design and the value it adds to the design process. A web design that is compatible with SEO is likely to draw more traffic. A website may be attractive and dazzling but if it is not search-engine friendly, you restrict the ability of major search engines to access your content. If your website content is not readily accessible to search engines, it will not have a high ranking in the search results. Integrating SEO appropriately in your web design includes aspects such as technology, navigation, linking and content. The content on your web pages is vital for SEO success. During the process of building your site, it is advisable for the web designer to be aware of what your business entails. This makes it possible for lists of keywords to be selected in the initial stages of development according to what users are likely to search for when looking for information that relates to the site. Content is essential in SEO but should be used properly to avoid any unethical practices that may lower our ranking or lead to search engines penalizing your site.Strategic and meaningful placement of keywords will help you get a better ranking for your web pages in search results. Adding keywords to content while creating the web pages will help to cut down on the time used to change content on web pages for the purpose of SEO. Link building enables you to have links directed from other credible sites to help you achieve better search engine rankings for your website. In order for quality content and proper link building to yield the best results, web design needs to cater for SEO. SEO is as critical as the design concepts for your website. If the site is designed while incorporating SEO, the web pages will soon start ranking higher and attracting more users through search engines. Find out how you can analyze a web design company through its portfolio here. Search engine optimization constitutes a range of things including content, keywords, and title tags. If you are not sure of how to implement SEO, you can consult a professional web design service that will help you create an SEO compliant site. Search engines require relevant and original content along with suitable visual elements such as videos and images. Search engines invest a lot in bandwidth and sites that are easy to crawl through require fewer resources. Web designers create SEO compliant sites that can be crawled faster and easier by search engines. Technology and navigation are among the factors that are considered in search engine optimization. The objective of search engines is to enhance the usability of the web. Make sure that SEO is incorporated into your web design process right from the start. After spending a considerable amount of time, money and effort in creating your site, you need to ensure that as many as people as possible will be able to access it. Good web designers are aware of the importance of creating attractive sites with SEO in mind. 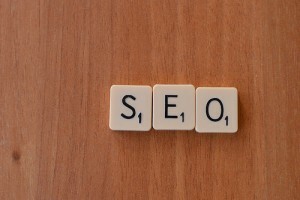 SEO enables you to get better ranking for your site on the web. When users search for products that are available on your website, they will be able to see it as soon as they type in the keywords. A higher ranking for your website will increase the possibility of your site getting more clicks. It is important for you to drive more traffic to your website because the people who visit your site may become your customers. The design of your home page is important because it is the first impression of your website and business that your visitors get. Good web design should leave a lasting and positive impression. It is always a good idea to have a clean and clutter-free home page that will not cause your visitors to leave as soon as they log on. Consider other aspects such as the sizes of your images, navigation, user and search engine friendliness, colors, and overall design. Responsive design is a popular concept because it involves designing for various devices. With the ongoing advancements in technology and increase in online visitors, SEO practices continue to evolve. Web designers now have access to more technology and options than they did and this is evident in how advanced web designing has become. When you design a website, the user should always be a priority because this helps to determine SEO rankings. This is based on various technicalities and makes it necessary to always prioritize the end user during the design process. Web design is beneficial for businesses, customers, and search engines when it is not complex or overwhelming. It should lead to links and content that users need while giving businesses the opportunity to reach more people. Jack Dawson is a web developer and UI/UX specialist. He likes to share knowledge and points of view with other developers and consumers on platforms. Click here to read more about how you can analyze a web design company through its portfolio.